John Hosking (Jnr) was born on 17 April 1805 at South Brent (Ashburton Circuit) Devon, England and baptised on 25 April 1805. John was a twin to Ann Elizabeth Hosking who appears to have died as there is no mention of her arriving in Sydney in 1809 with the rest of the family. John Hosking was the third son of Methodist teacher John Hosking Snr and his wife Ann Elizabeth, née Mann. The family was from Devon (not Cornwall). However, John Hosking Snr died in 1850 in Truro, Cornwall when visiting his daughter Ann Hill. John senior’s wife, Ann Elizabeth, stayed on in England and lived with her daughter until her death in 1853. John Hosking Jnr married Martha Foxlowe (d.1877), the daughter of former convict and wealthy merchant Samuel Terry, ‘the Botany Bay Rothschild’, and former innkeeper Rosetta Marsh, on 16 June 1829 and had three daughters. He died at Mount Pleasant, Penrith, on 9 September 1882. 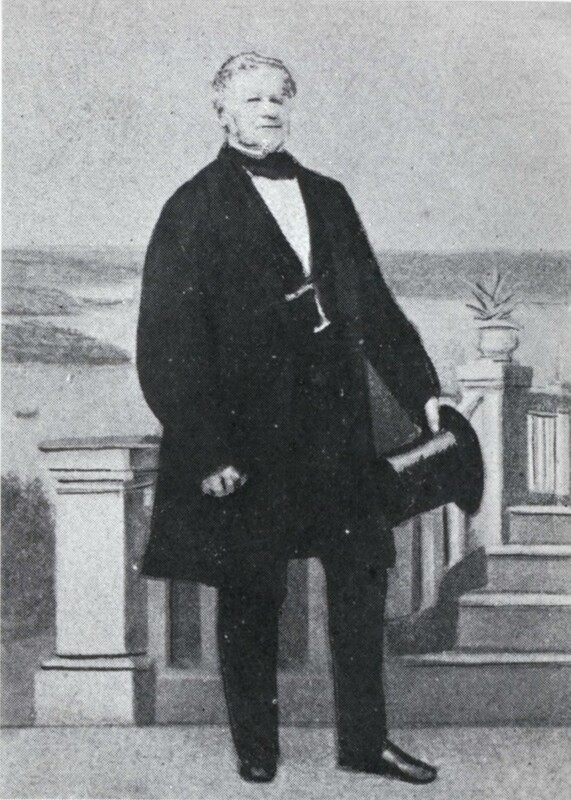 John Hosking senior brought his family to Sydney on 29 January 1809 in response to an invitation from the Reverend Samuel Marsden to take charge of the Orphan School. 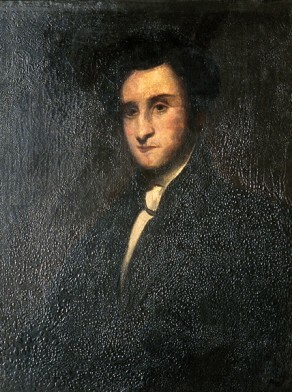 John Hosking junior spent part of his childhood in Sydney and, after his family went back to England in July 1819, returned to Sydney on the Sir George Osborne in December 1825. He opened a store first at Pitt Street, later at Albion Wharf, Sussex Street. Hosking went into business with John Terry Hughes and prospered, investing the profits in real estate at Darling Harbour, Macquarie Fields, Monaro, and the Foxlowe Estate on the Molonglo River. In 1841, he purchased waterfront land at East Balmain (near contemporary Hosking Street) and subdivided it into 29 lots of which only 13 were sold. In 1843, Hughes & Hosking became insolvent, forcing Hosking to withdraw his nomination for the Legislative Council. The Bank of Australia, their largest creditor, collapsed on 2 March 1843. By the time of his death, most of Hosking’s property had been sold. In 1854, Hosking rented Vaucluse House while his grand stone residence, Carrara, was being built. Hosking was appointed a magistrate in 1842. He was a member of the Southern Cattle Association and Director of the Sydney Banking Company in 1841. He held shares in the Sydney College and was an active Methodist. John Hosking was a Foundation Alderman for Bourke Ward, 1 November 1842 until his forced resignation on 25 September 1843 following bankruptcy. Hosking was the first elected Mayor of the City of Sydney from November 1842 to September 1843. Vivienne Parsons, ‘Hosking, John (1806–1882)’, Australian Dictionary of Biography, National Centre of Biography, Australian National University, http://adb.anu.edu.au/biography/hosking-john-2200/text2843, accessed 1 February 2013.